The Master of Science in Education (MS Ed) degree enables you to follow a suggested program or to create a customized plan that fits your unique teaching position or career goals. Focus your studies in Leadership, Instruction, Special Education, or Educational Technology around a set of core courses. Then either delve more deeply in your area of focus or explore other emphases. 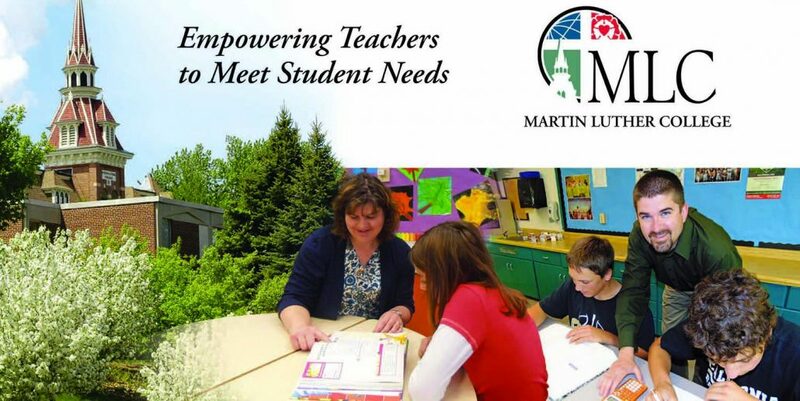 The MLC Master of Science in Education program is for educators who want a program that is . . . Relevant – Learn new, high-impact strategies that work in Lutheran schools. Practical – Experience coursework that is instantly applicable and complete projects that can be tailored to your own school setting. Flexible – Decide when, where, and how to get your degree. All courses are online, and you can take them on your schedule, not ours. Affordable – Pay for your degree and not to support undergraduate programs. We seek to serve our graduate students and not profit from them, so our tuition is lower than most other reputable, accredited, graduate programs. Christ-Centered – Discuss the latest educational issues and ideas with like-minded educators, where God’s word is the guide and every thought is taken captive to Christ. Matched to Your Ministry – Choose from four emphases – instruction, leadership, special education, or educational technology – or take courses from all four. MLC’s master of science in education program is not a one-size-fits-all experience because we believe that getting a degree is about learning, not jumping through hoops.